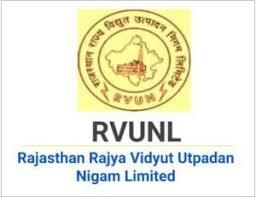 Candidates who have completed 10th, 12th or equivalent from a recognized Institute are Eligible to apply RVUNL Recruitment 2018 Offline/Online written competitive examination shall be conducted. There shall be one question paper of maximum 100 marks comprising of 100 questions to adjudge the basic & general knowledge of the candidates. iii). The question paper shall consist of "objective type questions" with four options of answers. Each question will carry one mark. All tests/questions except General Hindi & General English will be bilingual. There shall be no negative marking and interview. iv). The selection of candidates will be based on the merit to be prepared on the basis of marks secured in written examination. In case two or more candidates secure equal marks in the examination, their merit shall be decided as per their date of birth i.e. cider candidate shall be placed above in the merit list. v). There shall be no minimum pass marks in the written examination. The age of candidate should be between 18-28 years on the first day of January next following the last date fixed for online submission of application. Provided that the maximum age limit for SC/ST/BC/MBC candidates shall be relaxed by 5 years. For Ex-servicemen. the upper age limit shall be relaxable by equal to the length of military service increased by three years. provided that permissible age after relaxation work out to be more than 50 years, then upper age limit of 50 years will be applicable. 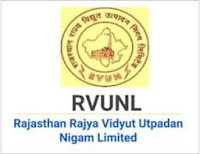 Provided further that the candidates who have rendered services in the capacity of daily rated/workcharged /contract basis in the Company, shall be given relaxation in upper age limit to the extent of period of such training/service, subject to maximum of 5 years.